In front of the tsunami of discrimination and hate-mongering against foreigners and their families, that invades Europe here and now, too few are the voices of intellectuals and scientists, who master the courage to say what they know is the truth: Modern-day hate-mongering is following the same road as recent waves of hate, discrimination, pogroms, ethnic cleansing and mass-extermination rode, just before they burst into collective aggression, war and death. In Germany, recently, a team of sociologists, historians and media-experts scrupulously researched the stunning parallels between the genesis of European antisemitism after the emancipation of Jews thanks to the French Revolution during the nineteenth and early twentieth centuries, and modern anti-Islamism. I published an authorized summary of it in HUIBSLOG: Antisemitismus und Islamophobie – Neue Feindbilder, alte Muster [DE] in June 2010. In French (and mostly translated into English), similar studies by Olivier Roy: La sainte ignorance. Le temps de la religion sans culture. (2008) . Engaging the Muslim World (2009) sets a possible course for the new Obama administration, doing away with the neocon-inspired Bush "war against evil states". Napoleon's Egypt: Invading the Middle East (2007) develops a historic parallel between Napoleon's disastrous invasion of Egypt in 1797-99 and the 2003 Bush war against Iraq. Cole generates a daily stream of posts that deal with the real developments "on the ground" in the Middle East and Asia and intervenes into US debates, learned and less learned, that develop around those issues. Now and then, Cole publishes a "guest editorial" by another expert. 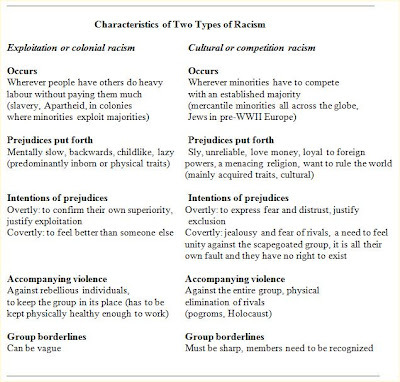 Amsterdam-based retired journalist and writer Anne-Ruth Wertheim develops her father²)'s analysis of the different types of racism here, inspired by the rise of Mr. Wilders' political career, based on discrimination and hate-mongering. Wilders' ideas are racist, in her view. 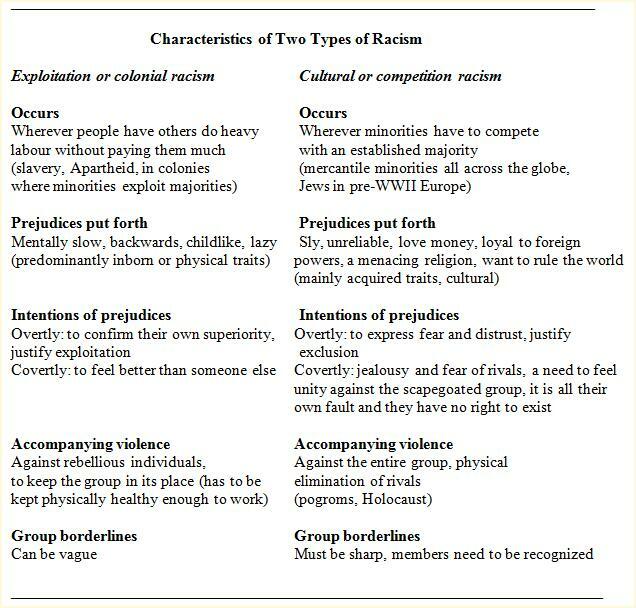 She explains, what mixture of racisme we have to to do with, here. * I tell this story in The Goose Snatches the Bread from the Ducks. My Childhood in a Japanese Prison Camp on the Isle of Java, which can be ordered on DVD or downloaded via this site. Anne-Ruth Wertheim beloofde me vandaag een Nederlandse vertaling, die onmiddellijk zal worden opgenomen. Eerdere versies van bovenstaand artikel van Ruth Wertheim verschenen op Republiek Allochtonië en Weblog Anja Meulenbelt. I have been wrong. 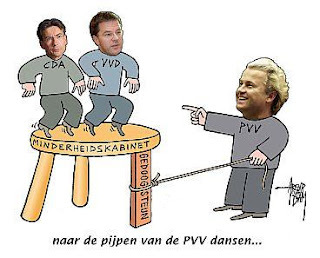 Wilders' one-man PVV "party", a mafioso construction controlling 24 out of 150 parliamentarians in the Dutch administrative capital The Hague is not excluded, no, it it calling the shots, for the moment. Election-winner VVD (conservatives, 31/150) and election-loser CDA (Christian-Democrats, 21/150) agreed with the false-blond populist (PVV, 24/150) on August 9, 2010, to negotiate a coalition government program, to be implemented by a VVD-CDA team of Ministers, with the support of Wilders' acolytes, who will not participate personally in that Government. If nobody from the participating parties disagrees, that would provide a tiny second-chamber majority of 76/150, but a minority in the first chamber, the senate, where it would master a minority of 35/75. The right is hoping for a landslide at the regional (provincial) elections in March, 2011, for the provincial parliaments who nominate the senate members. The VVD and CDA agree on a 18 billion euro spending-cut program, without compensation by way of charging the wealthy and the banks who provoked the recent financial crisis. Wilders, who had himself elected on promises of no-cuts on pensions and welfare, agrees however, in so far as his program of apartheid and discrimination of immigrants, as well as his security proposals are honored by the two other parties. What we see, is a devilish scenario. Wilders remains free, to develop his provocations and to terminate his collaboration with the Right at any moment that suits him. The Dutch welfare state is deconstructed by the thatcherite conservative VVD, while the CDA, I presume, will limit itself to protecting the corporatist structures it planted in Dutch society from the Fifties onwards. Wilders already gave in on the retirement pension issue. Although he declared, before elections, that maintaining the retirement age at 65 years, was a "breaking point" for him and the PVV, three hours after closure of the ballot boxes in June, he said on television, that he was ready to accept a 67 year limit. In an artistic move, Wilders created a national and international discussion about the pros and cons of his appearance at the SIOA meeting in New York on September 11 against the Park 51 inter-religious centre, where an Islamic worship room is planned. The public debate shifted as planned, from the barbarous cuts to "freedom of speech" with the US ultra-right. We got a preview of the way in which an eventual minority rightist government will deal with that kind of provocations, as CDA-leader and acting foreign minister Verhagen timidly asked Mr. Wilders "to please consider the consequences of his deeds" for the international position of the Netherlands and its business interests. Meanwhile, the not-right political side, kept quiet. Intimidated by Wilders' rhetoric and inapt to mobilize the majority of Dutch citizens who are staunchly against apartheid and discrimination on their doorsteps, they are waiting for a miraculous end to the Fortuyn-Wilders nightmare, hiding away in silence and hoping that somebody else than themselves, will take upon them the dirty task to tell the bare truth about Wilders' gliding to (neo-)fascism. Yesterday, a relatively minor social-democrat eminence, senate-member Frans Leijnse, also professor at the respected Leyden University, finally crossed the border of silence and wrote an article for a nationwide daily, demonstrating that Wilders' party, the PVV, is to be considered as neo-fascist. Too little, too late. The hate-poison has spread itself to wide proportions of the public. About Islam, anything goes, actually. People feel themselves abandoned, left alone. Lone rider Wilders has their sympathy. Attacking Wilders equals high treason. The only solution, I see, is a grassroots campaign in the twelve Dutch regions (provinces) that shows how patient and democratic action creates a better life for all inhabitants of f.i. an urban neighborhood, without discrimination of newcomers. That shows, that the acolytes of Geert Wilders are empty-headed and supremacist. That makes clear, that the democratic left is not your enemy, but your ally. Such a campaign will have to deal with the outrageous accusations from Wilders and his far-right Israeli and US allies, that the Left is part of a world-wide conspiracy that allies itself with Islamists in order to stay in power. Likewise, it will have to deal with religious fanatics, who reject any accommodation with western society. But why wouldn't it be feasible? It must be the right way to deal with 21st century problems. Common sense will accept credibility of peaceful social solutions. The democratic Left should take their own destiny in their hands and go forward.